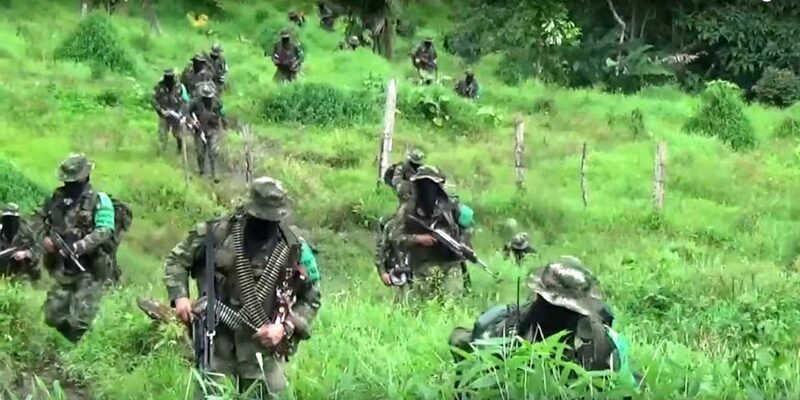 Eight people have been killed in the north of Antioquia province since Sunday as paramilitary groups fight for territorial control of the region in the Bajo Cauca region. The killings stem from fighting between Colombia’s most powerful active paramilitary group, the Gaitanaista Self-Defense Forces (AGC), and rival group Los Caparrapos. According to authorities, this year Ahomicides in Antioquia have increased 33.5% compared to the same period last year, in which Bajo Cauca is one of the deadliest regions. Authorities said in one case farmers found five bodies in the countryside a few hours from the town of Taraza. “Those five people who died there was the result of the confrontation between those drug traffickers in the Bajo Cauca region who are fighting for the control of drug trafficking,” General Alberto Sepulveda of the national Army told local media. Furthermore, three people were also killed in Taraza, allegedly in retaliation between the drug trafficking paramilitary groups that have been fighting since the end of last year. Authorities said some of the victims were directly involved in the conflict, while others were innocent and caught in the crossfire. Hundreds of people in the region have been displaced this year, as different armed groups, including ELN guerrillas, have fought for control of drug trafficking operations since the FARC guerilla demobilized. Just this past week, 210 people in the rural areas around Taraza had to seek refuge in a local sports complex in town after fighting between paramilitaries escalated around their homes. Bajo Cauca has traditionally been neglected by the state and is an attractive area for illegal activity like gold mining and the cultivation of coca, the base ingredient for cocaine. The army announced it would send 1,400 troops to the area to secure the safety of locals, something the state has failed to do for decades.